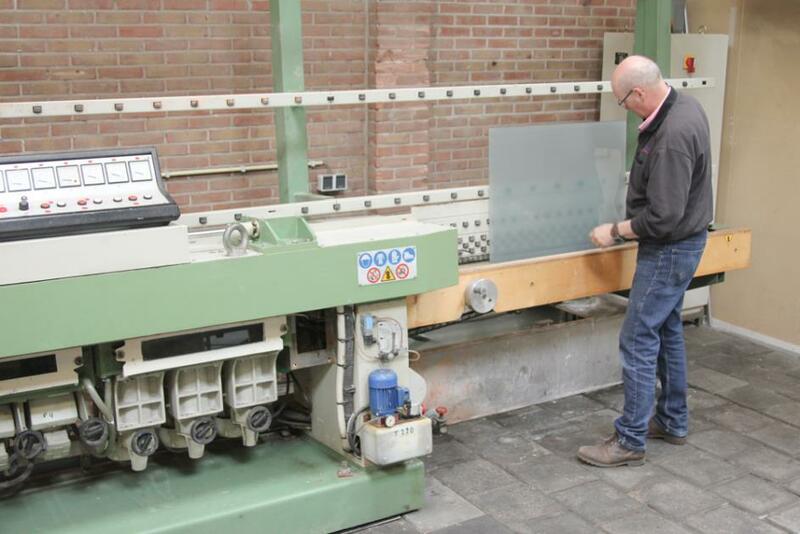 The visible edges of glass (plates) or mirrors are normally finished with a ground decorative surface. Different grinding methods exist: edge polishing, faceted and mitred grinding. Of these, edge polishing is by far the most attractive and safe finishing method. A polished edge is not sharp, so there is no danger of cutting oneself. 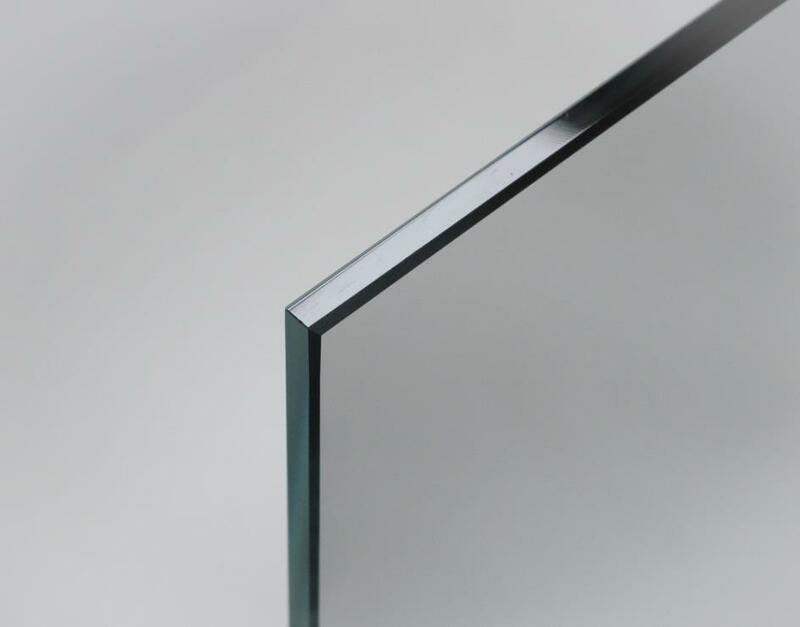 Polished edges are the most attractive solution for, for example, glass doors, furniture, table tops, bathroom and other glass shelves, display windows, wind screens and frameless mirrors . Edge polished glass plates and mirrors suit any interior: they are to be seen in living rooms, bathrooms, hotel rooms, shops, salons, bars and restaurants. Our professional Bavelloni glass grinding machine is fitted with diamond and polishing discs. 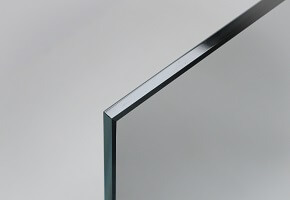 In the case of high-gloss edge polishing (also known as edge polishing / flat grinding) the sharp edges of a glass plate or mirror are ground at 45°, and the facing edge is edge polished / flat ground. Our glass grinding machine is suitable for a variety of glass types including float glass, layered safety glass and glass mirrors.